If you are concerned about the efficiency or comfort provided by your heating and air conditioning system, or if you are about to make a major decision to purchase one, then you should learn what air balancing and system performance can do for your home. In its simplest form, air balancing is the process of testing and adjusting your air conditioning system to deliver the right amount of air to each room in your home. The actual air balancing process includes a number of related tests that determine the performance of your air conditioning and heating system. results of all these tests are compiled into a report to determine how well your system is functioning. It’s not uncommon to find a system 30% to 50% low on airflow. 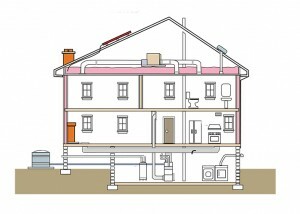 Air passes through the equipment and carries the heating or cooling inside.The effectiveness of the equipment is entirely dependent on the amount of airflow. When your certified technician measures the airflow, he or she can “see” system performance. With this information he or she can diagnose, repair, and balance the duct system for maximum performance.The end result is having rooms that are the same temperature, have cleaner air, better humidity control, and real energy savings. contractor employs Certified Air Balancing Technicians. Who Can Do Air Balancing and System Performance Work? Your heating and cooling system is a candidate for improvement. An HVAC professional with the right tools and training can improve the performance of virtually any system. 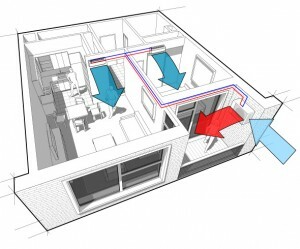 The more accessible your ductwork is, the easier it is to perform balancing and duct renovations. NCI-Certified Professionals are different than standard HVAC technicians. Most companies are in business to just fix or replace heating and cooling equipment. Your NCI-Certified Professional considers the entire system and is qualified to test, diagnose, and repair your ducts as well as your equipment. Don’t be fooled into thinking that replacing your furnace or air conditioner is the only way to lower utility bills.Those big boxes that heat and cool your home are reliant upon the distribution system to deliver cold or warm air to each room. If a contractor doesn’t check that distribution system (the ductwork), then they are only addressing part of the puzzle. Compare it to installing a brand-new race car engine into an old beat up sedan. A heating and cooling professional with diagnostic experience should always check the Static Pressure of your system whenever repairing or planning to replace your heating and/or cooling equipment. A familiar comparison is when you go to your doctor: someone always checks your blood pressure. Like blood pressure, Static Pressure is one of the key vital signs of your comfort system. This test helps your HVAC contractor identify any significant blockage or leakage. With this initial testing along with an in-depth interview, he or she can recommend the appropriate diagnostic tests followed by recommendations to correct existing issues and optimize your home’s comfort and energy efficiency.